Software updates have been a hot topic for carriers and manufacturers, but Sony Ericsson is not taking any risks and is starting to roll out updates to Android 2.3.3 for its gaming-centered Sony Ericsson Xperia PLAY and design-conscious Xperia arc. The updates are to first launch in the UK next week, but we expect to see other markets getting them not long after. Also in tow is a deeper Facebook integration, or “Facebook inside Xperia” in SE’s terms, a feature announced with the launch of the Sony Ericsson Xperia Mini and Mini Pro. This will bring the possibility to link music playing on your handset directly to your Facebook feed. Further information about that tune you want to share with everyone will be visible through SE’s Track ID service. In addition, you’d also be able to easily share photos to your Facebook profile. Finally, Facebook contacts information will also get intertwined with your phone contacts and you’ll be able to keep track of all their recent status updates, interests and so on. 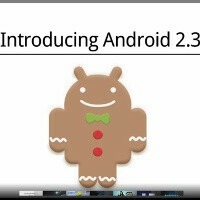 Android 2.3.3 doesn’t bring any revolutionary features, but rather mildly improves on the Gingerbread experience and fixes some security holes. The new features are also expected to land later on the rest of SE’s lineup including the Xperia neo, Mini and Mini Pro. Hey i'm curious, does any one know anything about the texting? I was wondering if you could use the key pad to text too that'd be kinda cool something like a PSP. Anyone know anything about that?